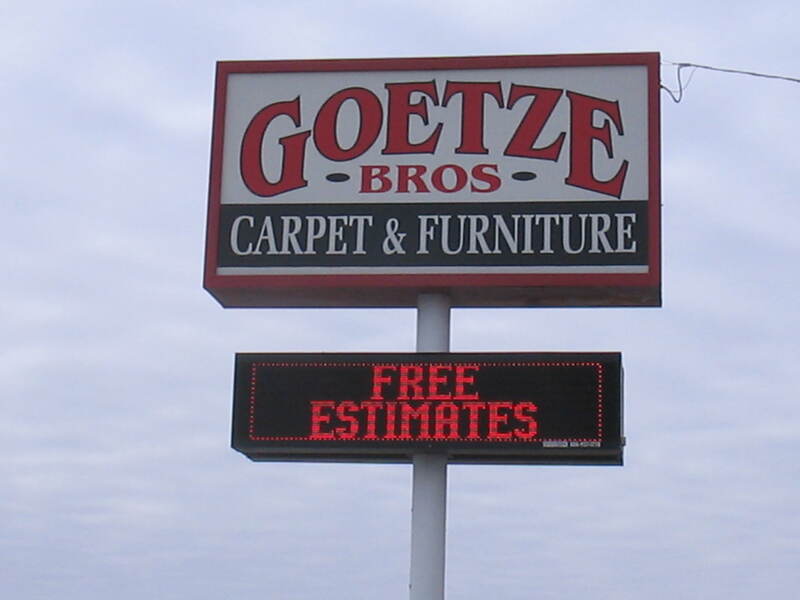 Welcome to Goetze Bros. Carpet & Furniture Inc. website. We are a family owned and operated business since 1969. We offer a full line of furniture and flooring. Our showroom contains quality furniture from manufacturers such as Flexsteel, Largo, Southerland,Franklin,LaCrosse, and more.We carry mattresses,,dining room,sofas,recliners,tables,sofa sleepers, lamps, Colonial Candles ,wall decor,and gifts. We offer custom ordering and free delivery within a 60 mile radius. Our warehouse contains in stock specials on flooring and our flooring showroom contains a wide selection of flooring samples which includes carpet, vinyl, ceramic, hardwood, outdoor carpet, LVT, and laminate. Our family has been providing quality furniture and flooring products to the entire lake and surrounding areas since 1969. We hope this website provides some helpful information for you. Take a moment to look around our site and feel free to contact us if you have any questions. We look forward to working with you on your next project, so stop by our showroom located on Hwy 52 in Stover, MO. ~or give us a call today! Goetze Bros. Carpet & Furniture, Inc. Serving: Barnett, California, Camdenton, Climax Springs, Clinton, Cole Camp, Eldon, Gravois Mills, Greenview, High Point, Knob Noster, La Monte, Lake Ozark, Latham, Laurie, Lincoln, Mora, Osage Beach, Sedalia, Smithton, Stover, Sunrise Beach, Syracuse, Tipton, Tuscumbia, Versailles, Warsaw, and vicinities.